Nashville, TN -- The Academy of Country Music (ACM) has pledged $2.5 million to Working on a Building: Country Music Lives Here, the capital campaign that will finance the Country Music Hall of Fame® and Museum's expansion from 140,000 square feet to more than 350,000 square feet. The museum's expansion will include the ACM Contemporary Gallery, which will examine modern developments and current trends in country music. The gallery Will Spotlight Emerging Artists and Current Superstars. Encino, CA-- Today the Academy of Country Music announced the winners of awards that will not be televised during the live telecast of the 47th Annual Academy of Country Music Awards, telecast live from the MGM Grand Garden Arena in Las Vegas on Sunday, April 1, 2012 at 8:00 PM live ET/delayed PT on the CBS Television Network, due to time constraints. 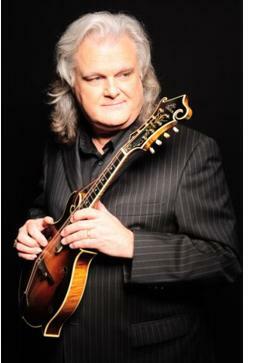 Special Awards, Industry Awards, MBI (Musician, Bandleader, Instrumentalist) and Songwriter of the Year honorees will be feted at the 6th Annual ACM Honors event on September 24, 2012 in Nashville. 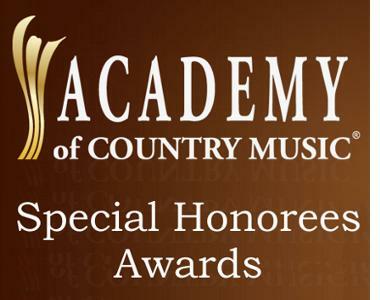 Bobby Braddock, Kenny Chesney, Vince Gill, Emmylou Harris, Gayle Holcomb, Alan Jackson, Roger Miller, Billy Sherrill, Ricky Skaggs and Dwight Yoakam were announced as Off-Camera Winners for the 47th Annual Academy of Country Music Awards. Nashville, TN -- /ACM/ Country music fans, Music City talent and industry elite turned out in force tonight for the Academy of Country Music's 5th Annual ACM Honors, an evening dedicated to recognizing the special honorees and off-camera category winners from the 46th Annual Academy of Country Music Awards. The sold-out event, hosted by Joe Nichols for the first time, was held in Nashville at the historic Ryman Auditorium—itself a winner for Venue of the Year.